We are offering Ebony Hill Endpin. Available in Violin & Viola. Violin Size - 4/4 To 1/32 (Medium - Thick). Ultra light weight Carbon fiber Cello endpin. Set includes 10 mm diameter carbon fiber rod (20" long) with rubber tip and composite fitting. Designed and developed carefully, our Cello End Pins are offered with intricate designs on it. These are manufactured using quality tested and treated wood, which is procured from trusted vendors. Available in various sizes, our range is offered at competitive prices to our clients. 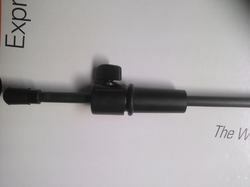 We are offering high-end quality of Violin Endpin holder to our clients. These holders are made in steel, with exact measurements to fit in endpins. These are available in varied sizes and specifications. These are more durable and compatible in nature and also demanded in domestic market. Customers can easily avail this from the market at cheapest prices. We are also exporting and supplying Double Bass Parts, Double Bass EndPins or Double Bass End Pins. Our range has a unique ribbed design of Cello Ebony Endpins and is available in various sizes. Intricate designs are carefully carved by our artisans. Violin endpins. Which is used to support the violin while playing. We employ experienced and skillful artisans in the designing process. The function of the endpin is mainly to support the cello, violin or the viola in the playing position. Some of the features of the product are mentioned below: Intricate designs carved on the surface Fine finish Perfect polish. We are involve in offering superior qulity wooden cello endpin.These cello endpin are mde from high qulity ebonywood, boxwood nd rosewood raw materials which ensure durability at its user end.This products are available in market at most economical price. We design and manufacture a wide range of wooden endpin that are violin accessories. Made from high quality wood like ebony wood, box wood and epoxy wood, these voilin endpins are available in a wide variety of shapes and designs. 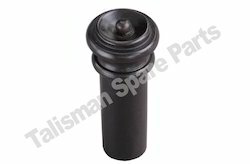 We carved and designed these wooden endpin can be availed in various sizes and designs.